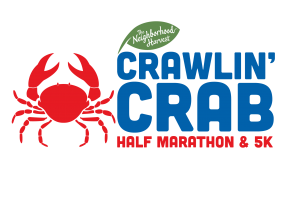 You may switch from your current Crawlin’ Crab Weekend race to a different distance that weekend, however you will not receive a refund if the race to which you are switching has a lower registration fee. If you are switching from the 5K to the Half Marathon, or from a single race to the challenge, you must pay the difference in race fee from what you initially paid for your original category to your new race category at the time of the switch. You can only switch into events that are open. Once an event sells out, you will not be able to switch into it. Starting September 3rd there will be a $15.00 fee to switch your race entry. If you are switching from the 5K to the Half Marathon, or from a single race to the challenge, you will pay the difference in entry fees PLUS the $15.00 switch fee. Contact J&A Racing at 757-412-1056.